Free Shipping. 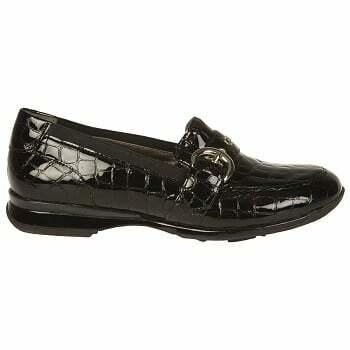 The Aetrex Nancy slip-on loafers from the Essence Collection. 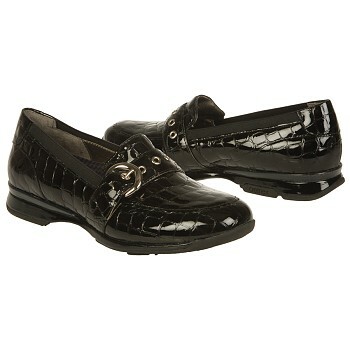 Croc-embossed patent leather upper with elastic gore topline in a casual loafer style. Round tapered toe. Strap across vamp with decorative buckle detail for a classic, tailored look. Patented Mozaic insole for customized comfort. Soft leather lining, polyurethane midsole for extra support. TPU heel counter reinforcement for added stability. 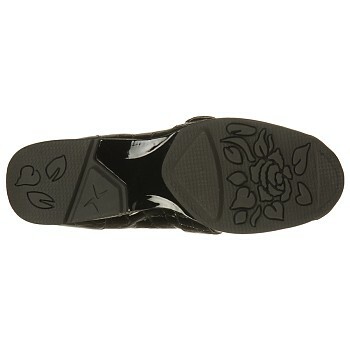 Rubber outsole provides excellent shock absorption. 7/8 inch heel. 60 years as leaders in the pedorthic industry. Mozaic insole offers pressure relief insole and customized comfort. Medium (B/C), Wide (D/E) widths available. View all Aetrex Shoes items.